For rent, Apartment €3,100 pcm. 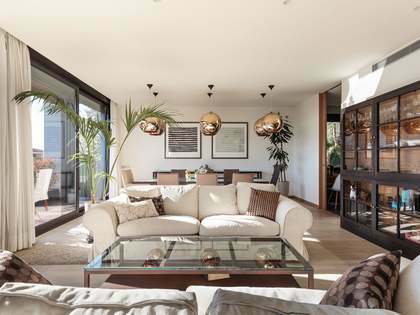 Lucas Fox offers an exclusive range of Pedralbes real estate for sale, including both luxury apartments and detached houses. The Pedralbes properties for sale tend to be high quality, new build, luxury constructions with a large amount of living space and private gardens, swimming pools and garages. It is also possible to find older houses to buy, many of which have spacious plots of land and require modernisation. Pedralbes properties are ideal for families as they often have enough room for service quarters for nannies or other live-in help. 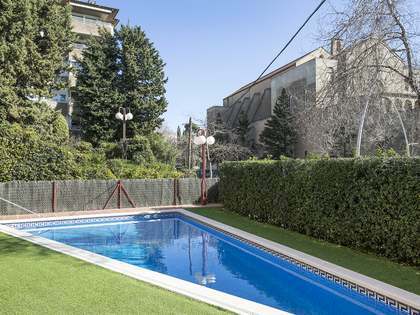 In addition, the close proximity to the city's international and English-speaking schools, including St Paul's School, St Peter's School and Kensington School, makes Pedralbes an extremely popular area for international families looking to relocate to Barcelona. 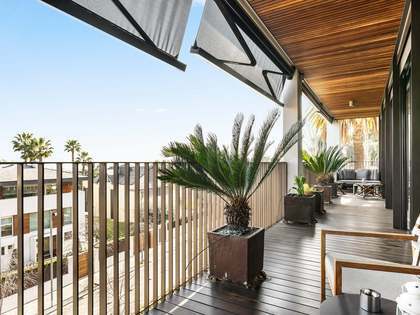 Pedralbes properties for sale, especially on the exclusive Avinguda de Pedralbes and Avinguda de Pearson, command some of the highest prices in real estate in Barcelona. The Real Club de Polo and Real Club de Tenis are also located nearby, adding to the exclusivity of the neighbourhood. 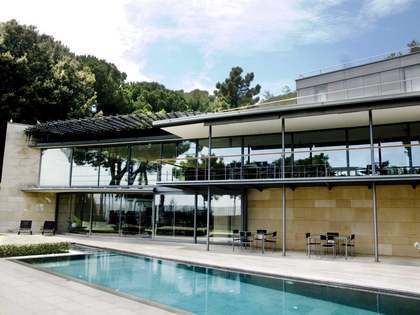 Situated up on the outskirts of Barcelona's Zona Alta, Pedralbes is the city's most exclusive neighbourhood and one of the only ones in Barcelona where you can buy large, detached, luxury houses with gardens and swimming pools. 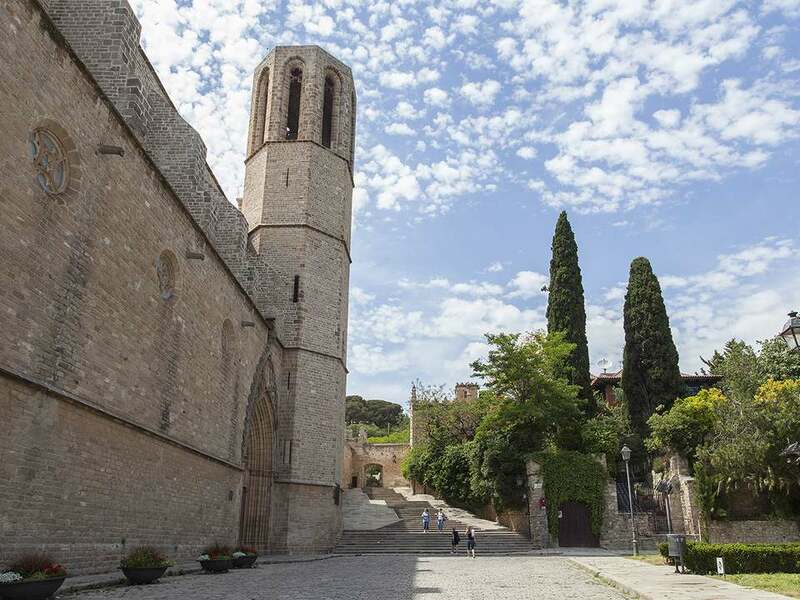 The majority of Pedralbes is spread over the gentle slopes of the Collserola mountain range, often affording staggering views over the city and the Mediterranean. One of the city's most exclusive avenues, Avinguda de Pearson, is located in Pedralbes, offering a wide range of upmarket shopping and dining options. The area is also home to one of the most respected Catalan Gothic constructions in Barcelona, the Monasterio de Pedralbes (Pedralbes Convent). There are several bus lines in operation, a tram along Avinguda Diagonal to Plaça de Francesc Macià and easy connections to the city ring roads and to Barcelona's international airport, which can be reached in 15 minutes.